SAN DIEGO–Feeding San Diego is encouraging federal employees, federal contractors, and other San Diegans affected by the ongoing partial shutdown of the federal government to seek free food assistance through its network of 250 distribution sites across San Diego County. 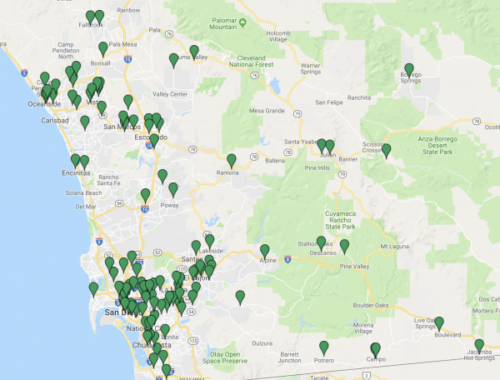 Approximately 150 of the distribution sites are operated by local charities and religious organizations who partner with Feeding San Diego, while the organization directly distributes food to the community at another 100 locations. Federal workers or anyone in need can visit feedingsandiego.org/need-help for a clickable map of convenient locations. By clicking on a specific location, visitors can access hours, contact information, and any special requirements. Members of the community can help Feeding San Diego continue its critical work and assist families during this time of need by giving online. Donations support fresh produce and groceries to San Diegans throughout the county, including those impacted by the government shutdown.